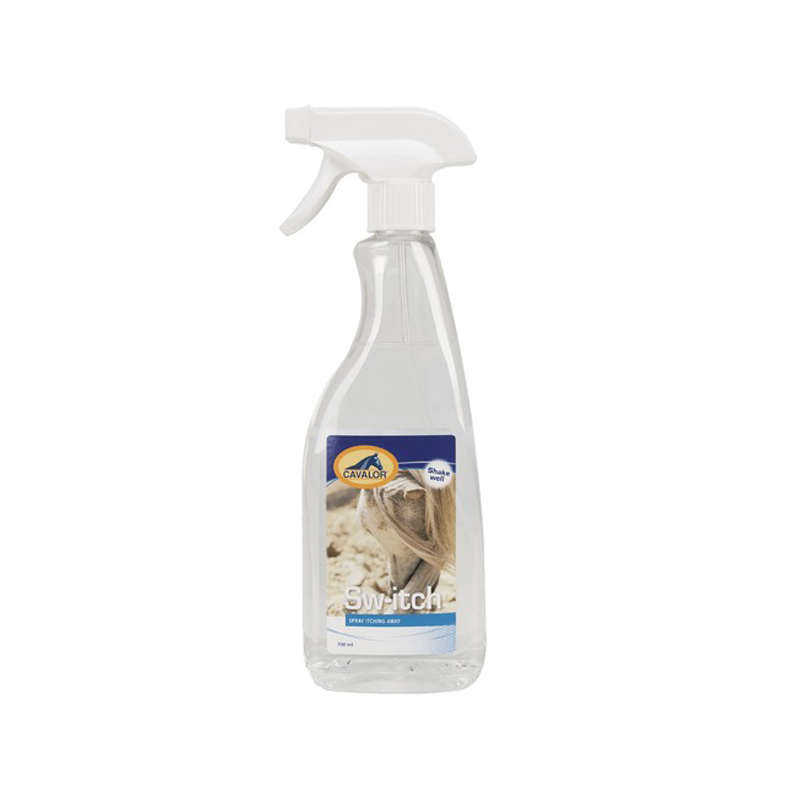 Cavalor Sw-Itch protects your horse against uncontrollable itching and helps prevent sweet itch. It was specially developed for horses that are sensitive to seasonally recurring skin irritation but can also be used in cases of skin irritation caused by harsh weather conditions. Cavalor Sw-Itch contains Benzyl benzoate, which is known to have a repellent function. Apply Sw-Itch every day to the affected skin as soon as you notice your horse itching. Initially apply twice daily, until positive results are visible, then gradually reduce to a couple of times a week to keep the itching under control. Spray on a cloth or directly on to the skin. Shake vigorously before use, until the product turns white.